Still a few copies left of SARGASSO #1! The first issue of The Journal of William Hope Hodgson Studies has been selling great and getting strong reviews so don’t miss out on your copy. 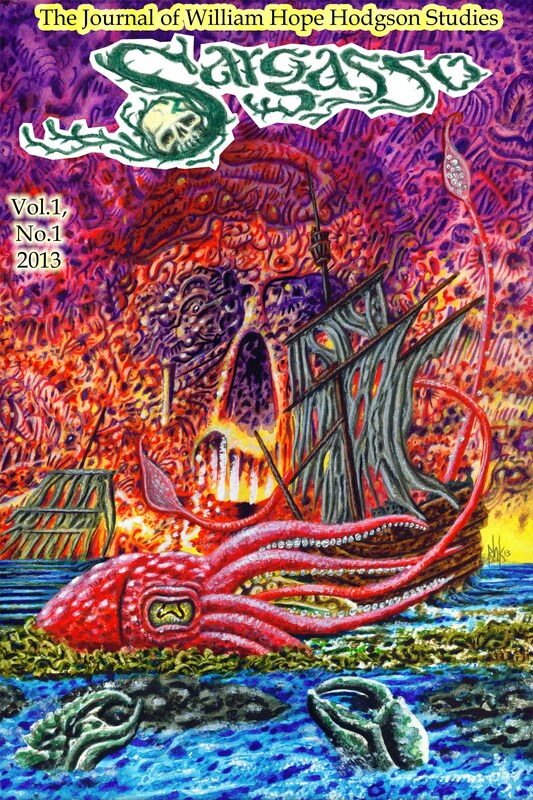 Only $20 plus $5 s&h or $10 s&h outside USA via paypal to sargassomagazine@yahoo.com THIS ISSUE WILL NOT BE REPRINTED so don’t miss out and get your copy now! Just received my copy today and already delved among it – everything looks fine. Interesting contributions, lovely illustrations. Thanks a lot! Thanks! I hope that you like it and will recommend it to others!